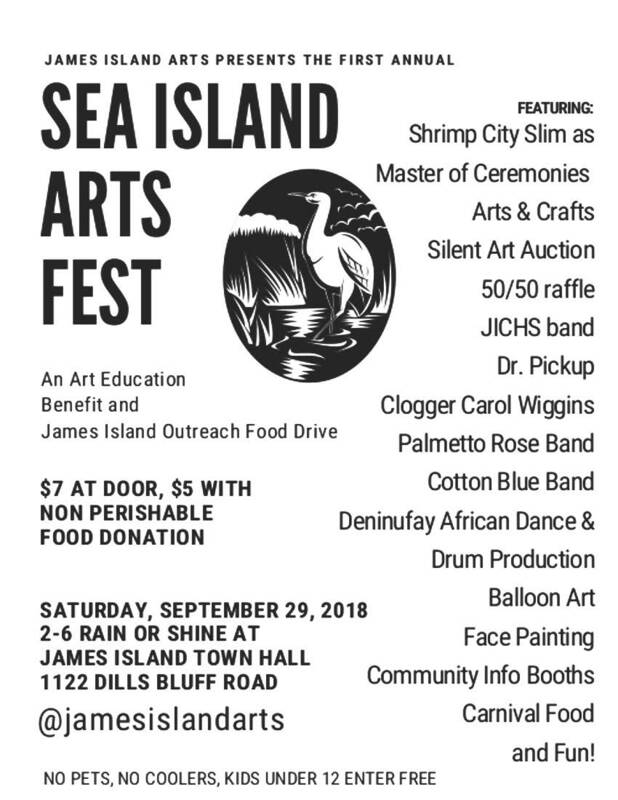 This is an art education benefit and James Island Outreach food drive. Saturday, September 29, 2018 from 2pm – 6pm. Suggested food donation items are listed below. Any other food except frozen or refrigerated items.